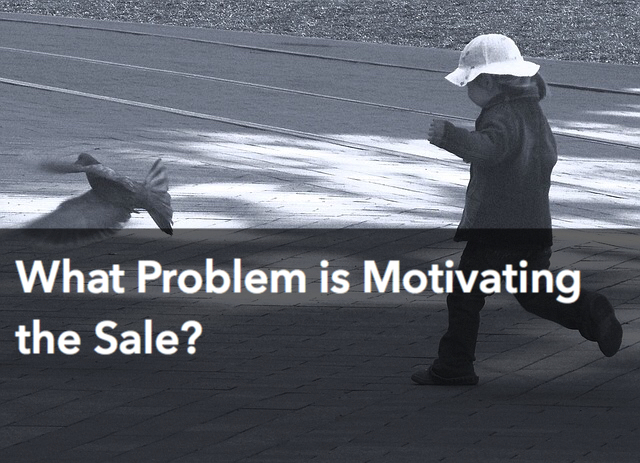 What Problem Is Motivating the Sale? As I continue on my quest to buy a small business, I keep thinking back on my time in corporate mergers and acquisitions. One of the most important things I learned during that time was to connect with the seller to understand what is motivating the sale. Back then, I was buying small businesses (mostly healthcare practices) for my employer. When I started with the company, I had previously worked in public accounting. I was generally doing the same thing but in that case I was advising the buyer on acquisitions. In my new role, I was the buyer (or at least worked for the buyer). As an advisor, typically your role ends once the deal closes. But as the buyer, the consequences get ramped up. If we acquired a business and things didn’t go well, I was stuck managing through the issues. The key to a successful acquisition is understanding what is motivating the sale. Once you understand this motivation, you can provide a solution and improve your odds of success. When you buy another company, there are many things that can go wrong. You can pay too much, assume too much debt to finance the purchase price, or your strategy can be flawed and the business fails to grow or even shrinks. But apart from the business-related issues that can happen, probably the most often occurring problem I experienced in acquisitions was people related. Companies are run by people. Some businesses are more capital-intensive and therefore have fewer people, but people are at the heart of all companies. And typically, the key employee in any acquisition is the owner/founder/seller. While what is motivating the sale can vary, almost always a seller wants to know that his company will be taken care of after the deal closes. Small businesses are like children to their owners. Most started them from nothing. They grew them over time fighting through good times and bad. And when the time comes to sell, they want to know that whoever buys the company will treat the business as if it was their own. It’s because of this pride that often the seller doesn’t immediately share with you what is motivating the sale. Maybe they’re posturing in the negotiation or maybe they don’t want to admit there’s a problem. But identifying the most important issue for that specific owner is the key to a successful transaction. This was a practice owned by a physician in a medium-sized Midwestern city. The physician owner had started the business about 5 years prior. The practice was on the smaller side of what we typically looked at buying. But because we had already purchased a similar practice in the market, we felt comfortable with this business. Normally our strategy when entering a new market was to start by acquiring either a large or multi-site practice that would provide a solid footprint in the market. We would then continue buying smaller practices and folding them into the existing ones or we would build new facilities to complete the geographic coverage of the market. This practice fit that model, but the problem was the physician owner and what was motivating the sale. In this case, the physician owner was motivated to sell because of a tax problem. After starting the practice, he had failed to report and pay payroll taxes for his employees for a number of years. This not uncommon for small businesses that are struggling for cash and get bad (or no) advice. But it’s a bad situation because eventually the government realizes that you haven’t been paying your taxes and they come to collect. And not only do you owe the original taxes, but also penalties and accrued interest. In this case, the physician owner simply didn’t have enough cash on hand to pay everything he owed. His only solution was to sell the business and use the proceeds to pay the back taxes. He agreed to sell the practice to us and went to work as the facility’s medical director. The situation did not last long as he was not happy with the arrangement. It had started off on a bad note in that after the taxes were paid, and after other deal-related expenses, there were no proceeds remaining. From our perspective, we had bailed him out of a bad situation, but from his perspective he had sold his business and got nothing in return. Unfortunately, his dissatisfaction permeated throughout the facility and before he left, most of the staff had turned against us and had to be let go. In the end, we spent many months and much money cleaning up the mess he made. This was a practice owned by a relatively young physician in southern California. He had also started the business about 5 years prior and grown it to be the largest and most successful in the area. The physician owner had a strong reputation among other physicians and clients and the staff consistently received good reviews. The practice was highly profitable generating twice the margins of a typically competitor. All around, this was a great business. I approached the physician owner about buying his business. This was a new market for our company and I wanted the physician to not only sell the business but also to assume a leadership position within our company running this region. We would be acquiring and opening additional facilities in the area and we wanted his expertise and relationships. From the beginning, the physician owner was not very interested. He agreed to meet with me and hear my pitch, but he was skeptical. We needed him more than he needed us. His business was strong and growing. He was earning a good profit from the business. He had seen other large companies enter the market and fail to effectively compete with his business. And he rightly believed that he could continue along this path without my company. After meeting with him a few times. And even after making a substantial offer, I couldn’t get him to budge. He just wasn’t interested. It wasn’t until a year or so later that I reconnected with the owner. He had continued growing the business and in fact, his growth had gone so well that he had opened another facility. But now he had a problem. While he knew how to practice medicine and he knew what was important in running a good medical practice, he was struggling with how much the business had grown. He could no longer be in both facilities at the same time. He needed to hire managers and train them on what was important to the business. He needed to establish controls for the facilities. These were all new skills that the physician owner needed to learn but he also had to spend most of his time just keeping the business running. He needed help that we could provide. So after a negotiation, he agreed to sell the business and assume the regional leadership role. The transaction was a huge success. The business served as the platform for additional acquisitions and the physician owner continued as a highly valued member of the leadership team helping grow the business not just in that region, but statewide. The thing to remember about buying a business is that most of the time, businesses are only sold when there’s a problem that can’t be solved internally. Sometimes the problem is bad financial management as in scenario 1. In this case, we should have realized that the motivation for sale was to get out of trouble. And that after the sale, the physician owner was not going to be happy and would not be a good employee. In hindsight, we should have bought the business and let the physician owner go on his way thereby not giving him the chance to negatively impact the other employees. Other times, the problem is managing too much growth as in scenario 2. In this case, the physician owner realized his own limitations and took advantage of our offer to not only monetize his investment in the business, but also to continue growing the business and benefitting for years into the future. Whatever scenario you find yourself in, the key is to understand the owner and what is motivating the sale. If you can determine the problem and provide a solution, you vastly improve your chances for success. Readers, are you open to critical self-reflection? Do you know what you need to work on? Have you developed a plan to improve that area?